$249.99 American Coin Silver 1840 Pedestal Cup-4"
$24.99 SMALL COIN SILVER FORK ROMAN MEDALLION PATTERN SALAD OR FRUIT OR ??? $52.78 (4 bids) American Mid 1800’s Coin Silver Stilton Cheese Scoop Ball Black & Co.
$375.0 ANTQ Coin Silver Stuffing Spoon Kirk & Sons 1861-1868 Civil War Era 10"
Buy: $3500.0 Wood & Hughes, 1860 civil war era coin silver medallion tea set. 5pc. $75.0 Coin Silver Sugar Sifter, Olive Pattern, Ball Black & Co.
$265.0 Antique c1850 American Coin Silver Bigelow Bros Goblet Cup 5 1/2"
$123.15 Rare Julian A Fogg Six American Engraved Coin Silver Teaspoons c.1870 Salem, MA. $40.0 Coin Silver Butter Knife Kings Pattern R&W Wilson Phila. $21.15 (1 bid) - SHERMAN COIN SILVER YOUTH FORK FRENCH FIDDLE & THREAD, NEW YORK? BELOIT, WI? 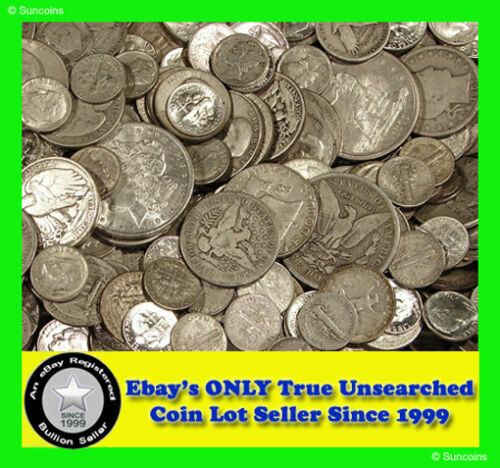 Buy: $164.95 ABSOLUTELY THE BEST COIN LOT DEAL ON EBAY! ""ALL SILVER""